This morning woke up with her in my mind. I remember her in different ways. My Granny was very special. Very firm (borderline mean) as a kid. But so loving, caring and understanding as an adult. I know ALL her grand kids feel THEY were her favorite because she MADE YOU feel that way. So yeah, I KNOW I WAS HER FAVORITE 🙂 no doubt in my mind. Industrious – took care of her kids and 80% of her grand kids by way of Orange Grove and Fish Creek. Social Justice- the neighborhood thugs wouldn’t dare do business IN FRONT OF HER YARD… The entire community and policeman would hear her yelling or calling. Assertive (didn’t take no junk from anyone) sometimes all she had to do was LOOK and everyone and everything got in order. Kind- She would FEED EVERYONE who needed a meal. Big pots of food DAILY for any who came to her door. And boy did they come. Morning, noon, night and even for peanut butter and cracker snacks. Funny- she had the strangest sense of humor, I missed them at the moment but when I thought through it later it would have me laughing for hours. Giver- if she didn’t make it to Good Hope Baptist, she made sure she put her “God money” in a white envelope for someone to take it to the church. 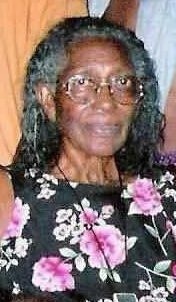 Anyhow, I’m missing my Granny this morning and I wish I could just call and hear her voice one more time.